Avocados aren’t usually cooked – if they’re part of a hot recipe, they’re typically sliced over a soup or taco to add an interesting temperature contrast to the whole dish. But there’s no reason why you can’t cook one, and it’s an interesting new way to appreciate such an incredible source of nutrients and healthy fats. 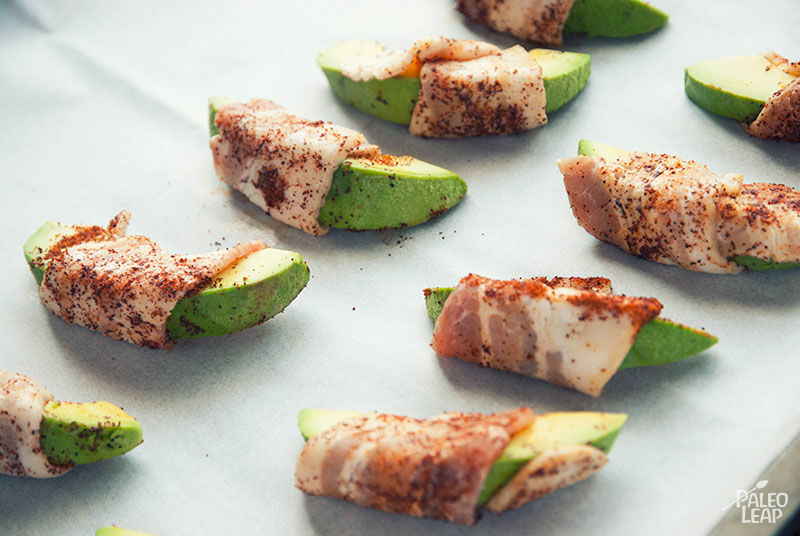 Wrapped in crispy slices of bacon and sprinkled with a dash of chili powder for an extra pop, these tasty nibbles are an avocado-lover’s delight, and they’re a sure-fire cure for anyone who thinks avocado is tasteless or bland. 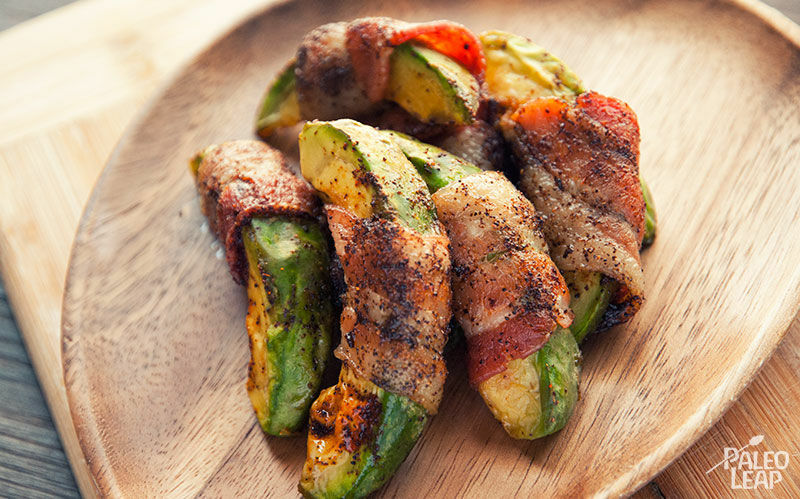 In this recipe, you can adjust the amount of bacon per avocado to match your particular taste. As you can see, I just gave each slice a “belt” of bacon around the middle, but some people prefer to completely encase the slices and that’s fine too. Why not try a few with varied amounts of bacon, to see how you like them? With the Superbowl coming up, these would make convenient and memorable game-day snacks (without taking up too much of your time on the cooking). But you could also incorporate them into a regular meal: with a spicy dusting of spice rounding out the rich flavor below, these would be perfect sides to serve with shrimp, tilapia, or another very lean main dish. Roast them up on the side, and in just a few minutes you’ll have an elegant solution to any dinner plate that needs just a bit more fat. Cut the avocado into equal slices. Sprinkle some chili powder over the bacon-wrapped slices, and line them up on the baking sheet.